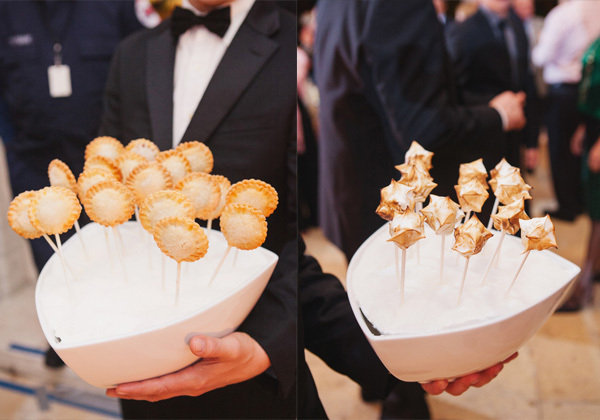 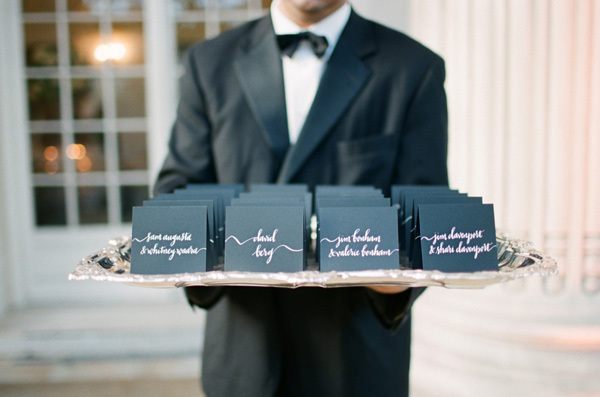 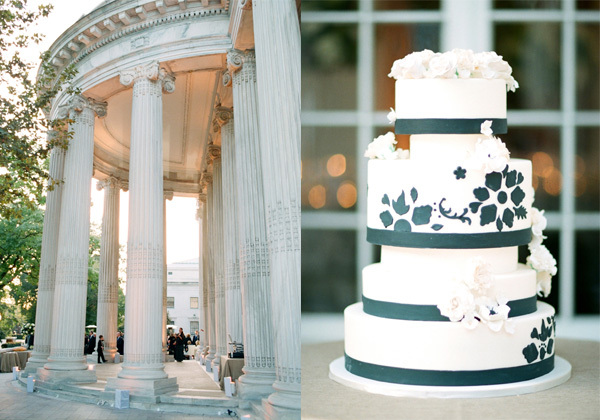 Inspired by the city, this black-tie wedding featured a ceremony at the DAR and DC-centric party favors. 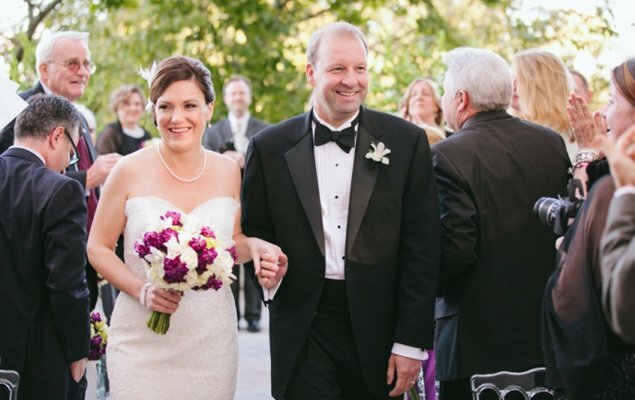 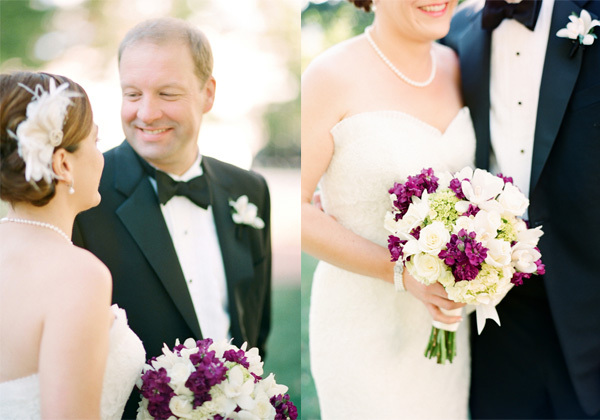 Andrea and Dan moments after their wedding ceremony on October 13, 2012. 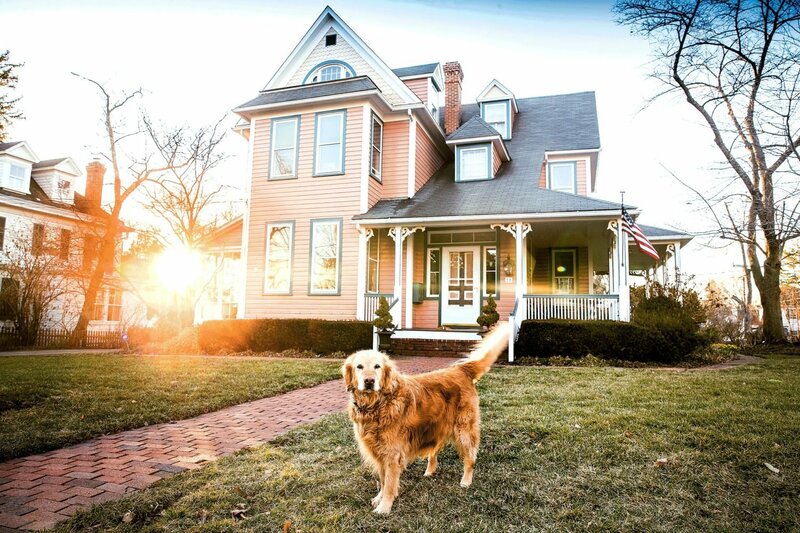 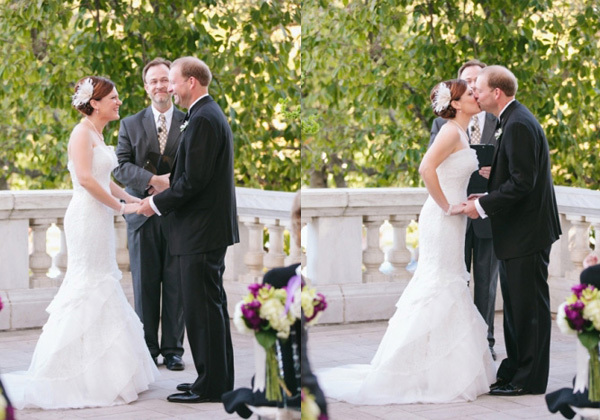 All photographs by Jodi Miller Photography. 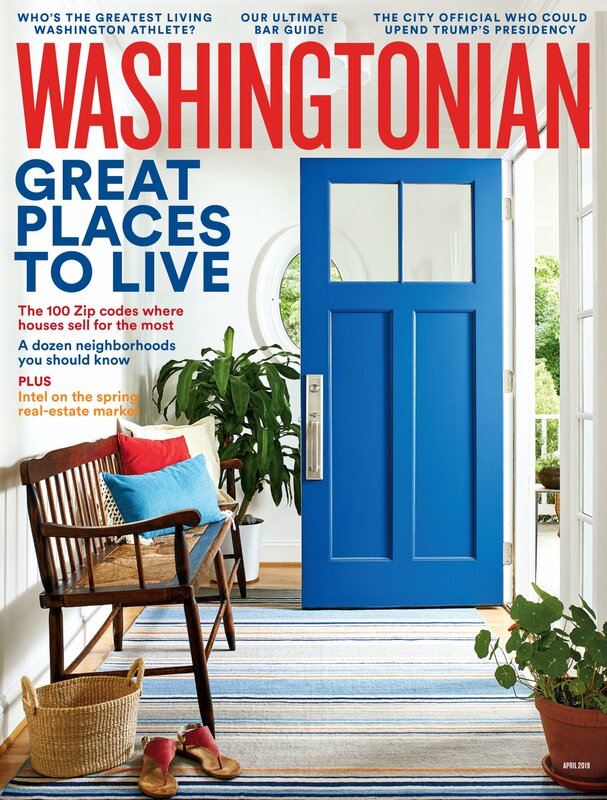 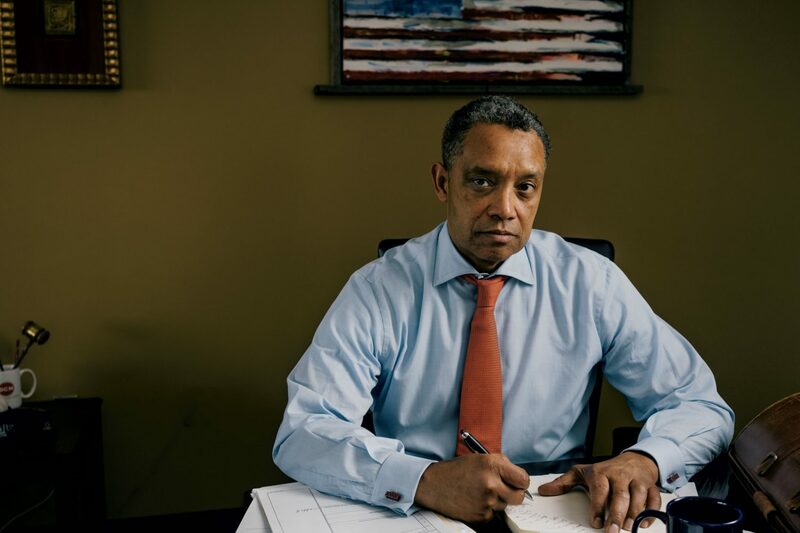 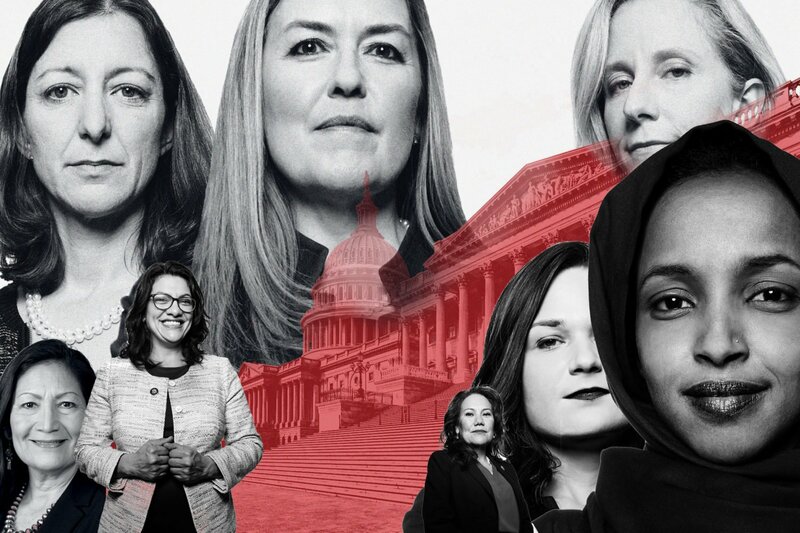 Washington has played a special part in the relationship of Andrea Palm, a senior adviser to Health and Human Services Secretary Kathleen Sebelius, and Dan Utech, who works on the White House Domestic Policy Council, from the beginning. 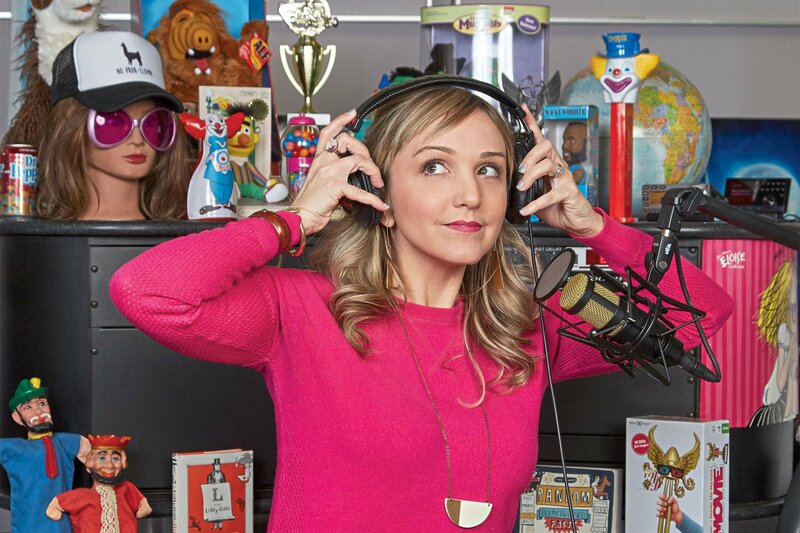 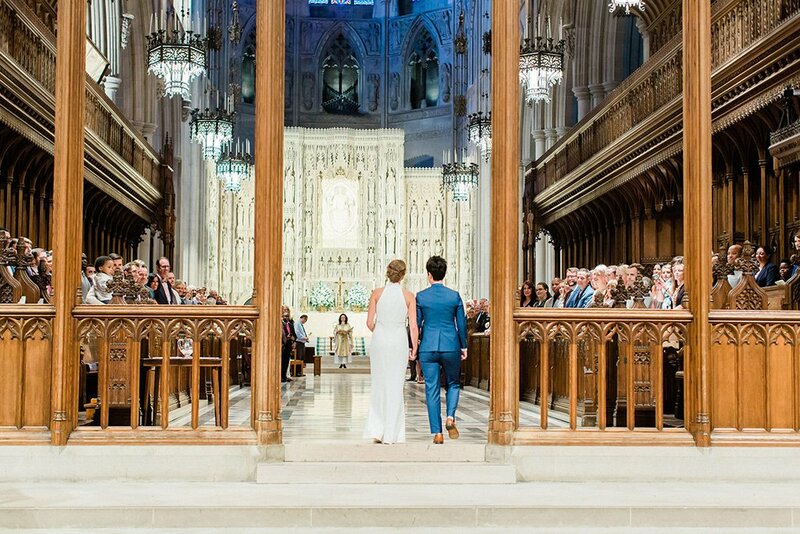 The two met when both were working as staffers for then-Senator Hillary Clinton. 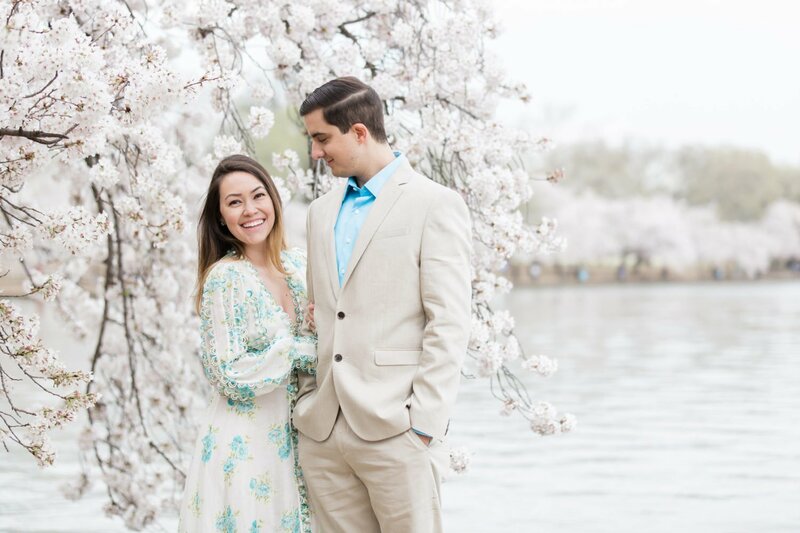 After several years and numerous dates at their favorite restaurant, Ray’s the Steaks, they got engaged in Paris over the 2012 Memorial Day weekend. 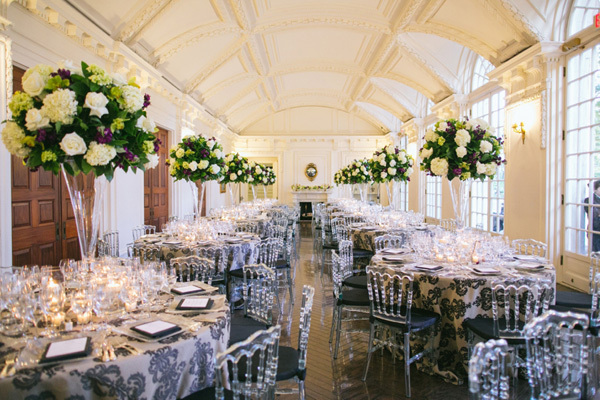 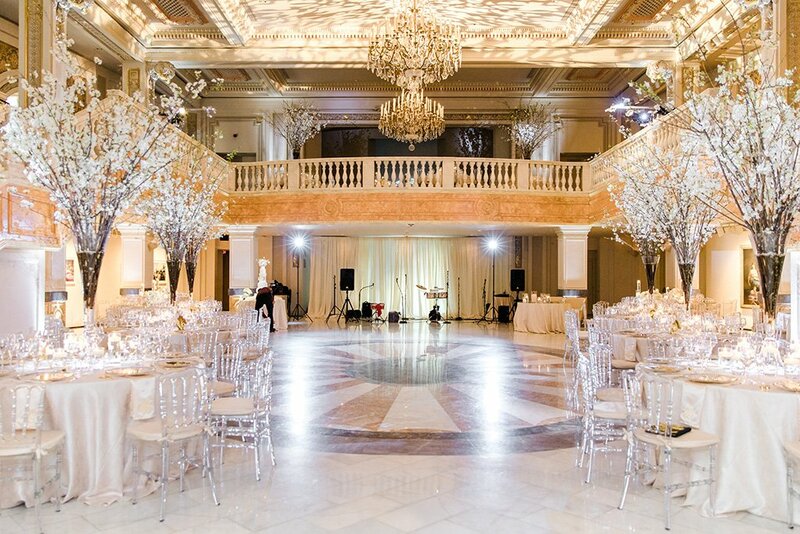 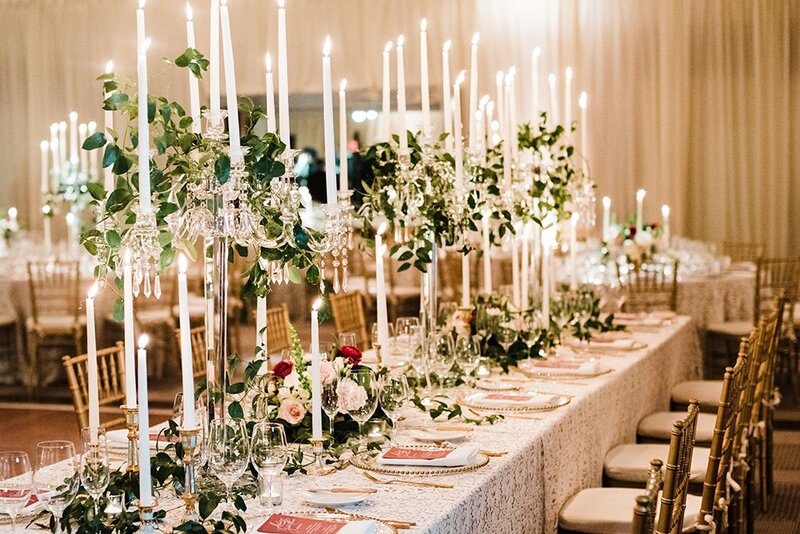 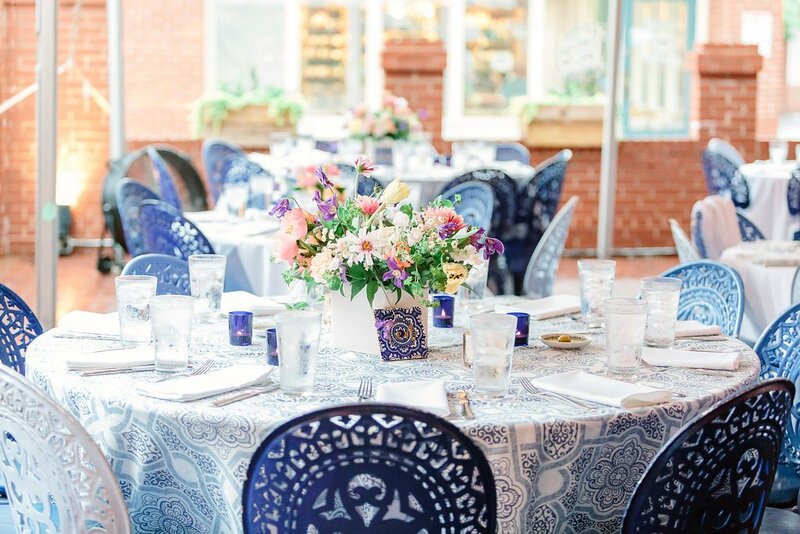 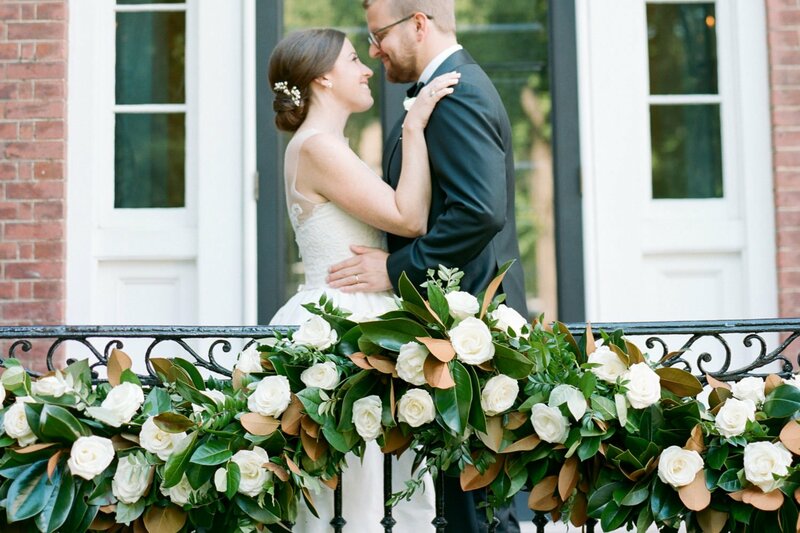 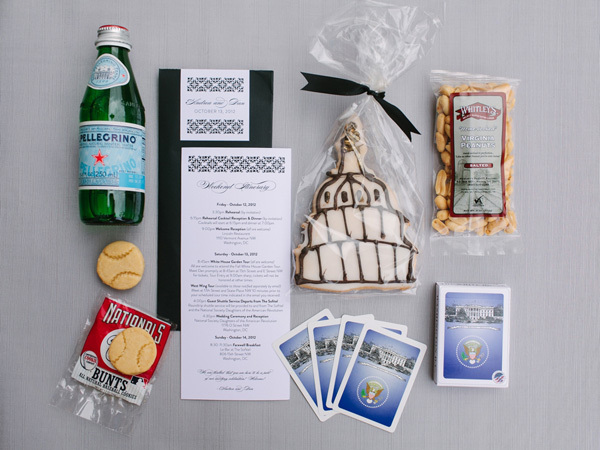 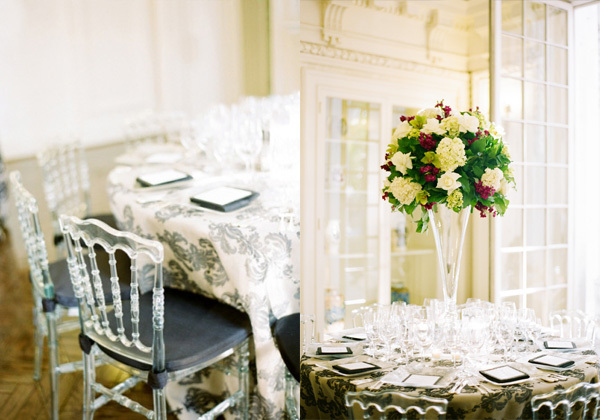 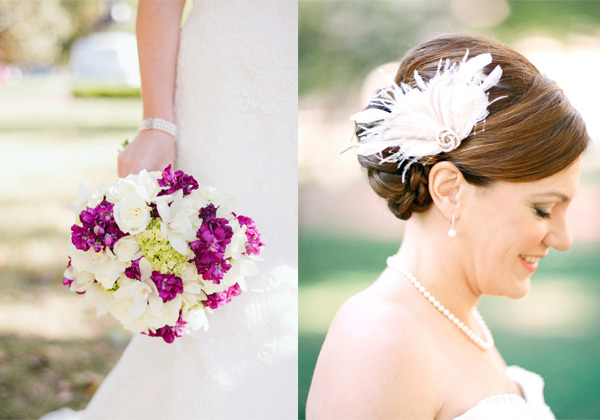 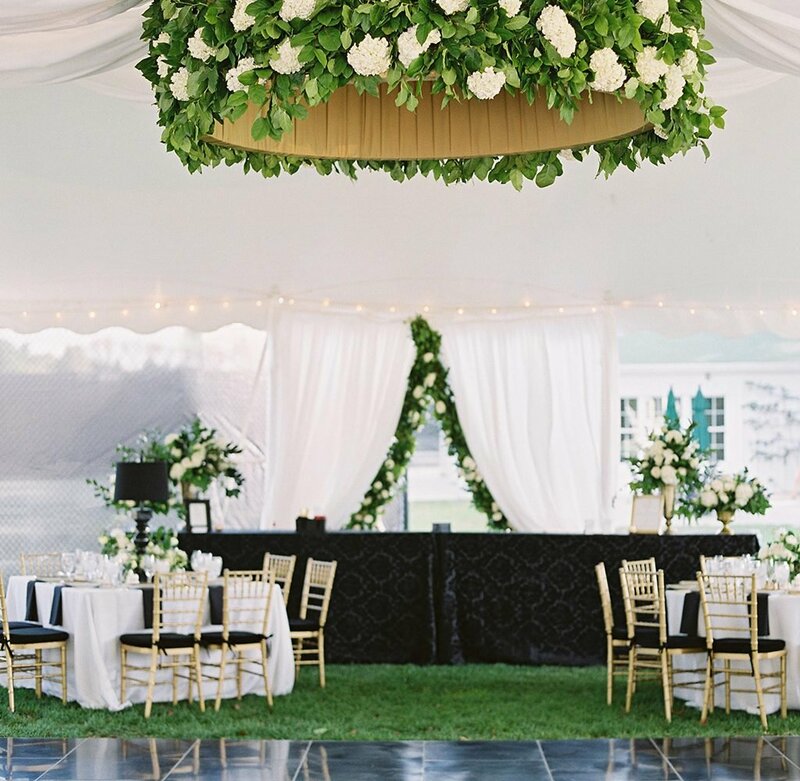 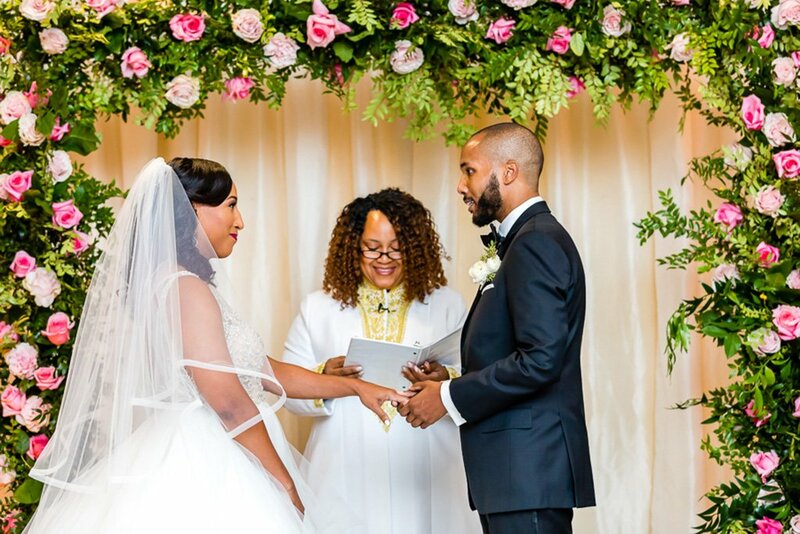 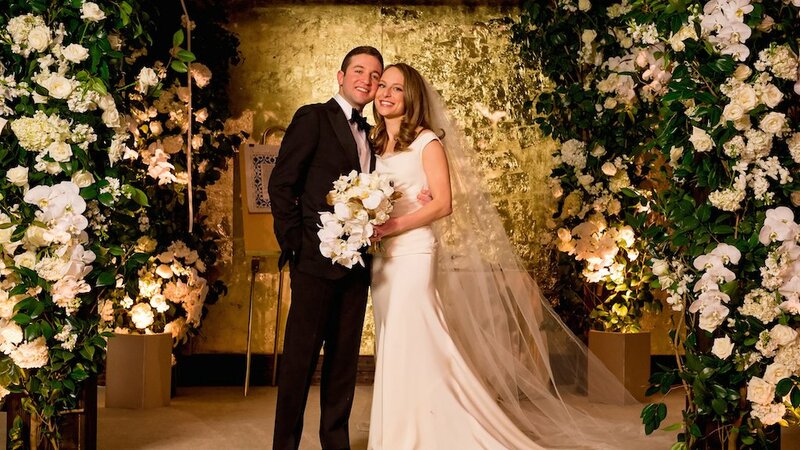 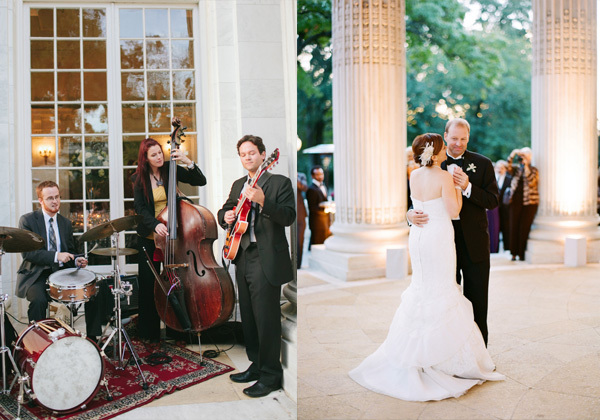 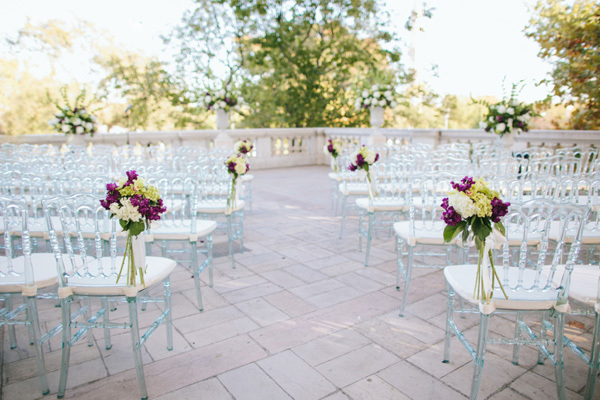 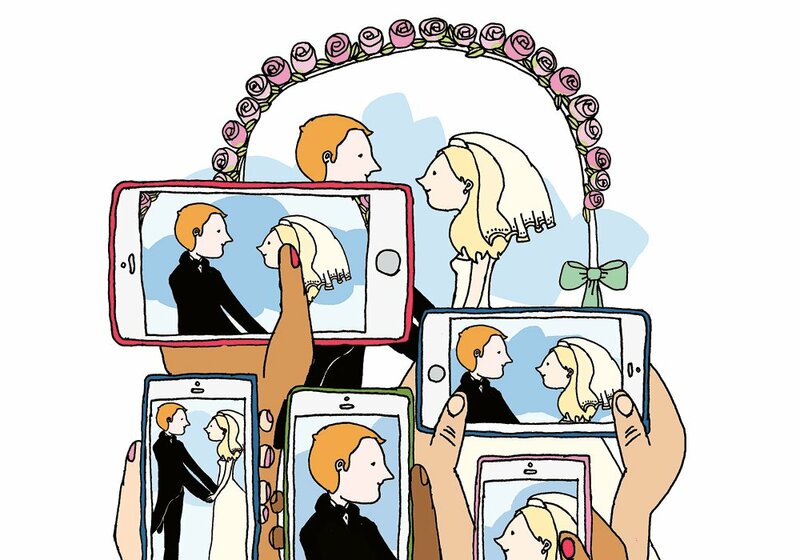 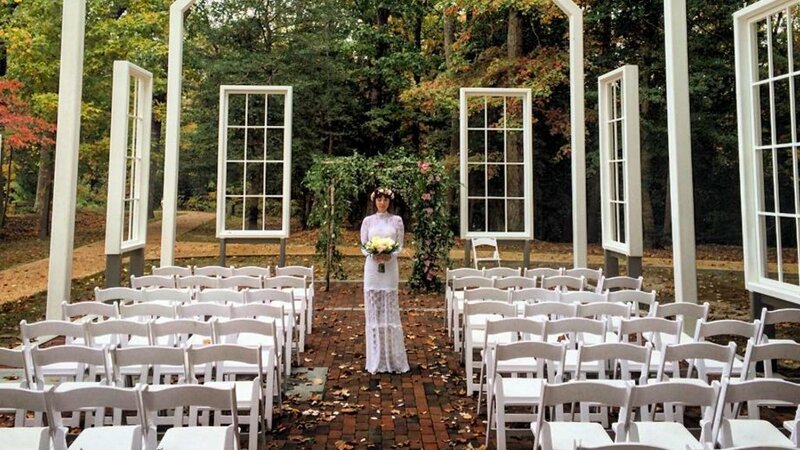 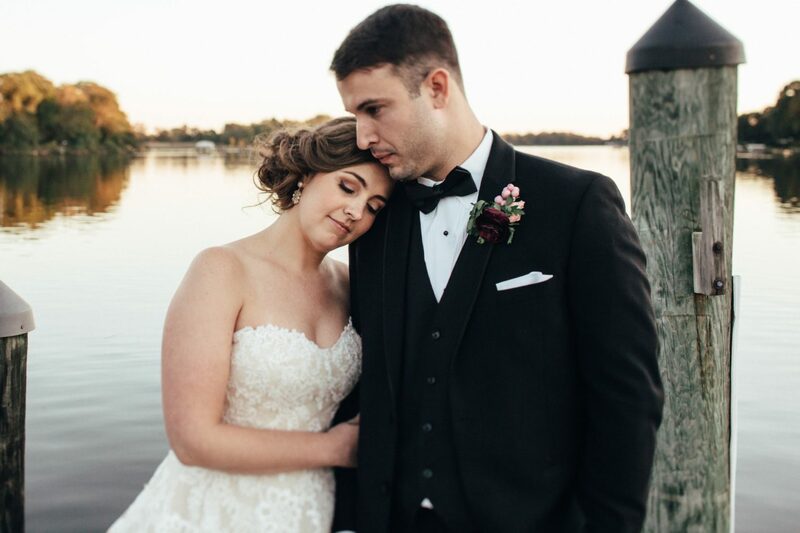 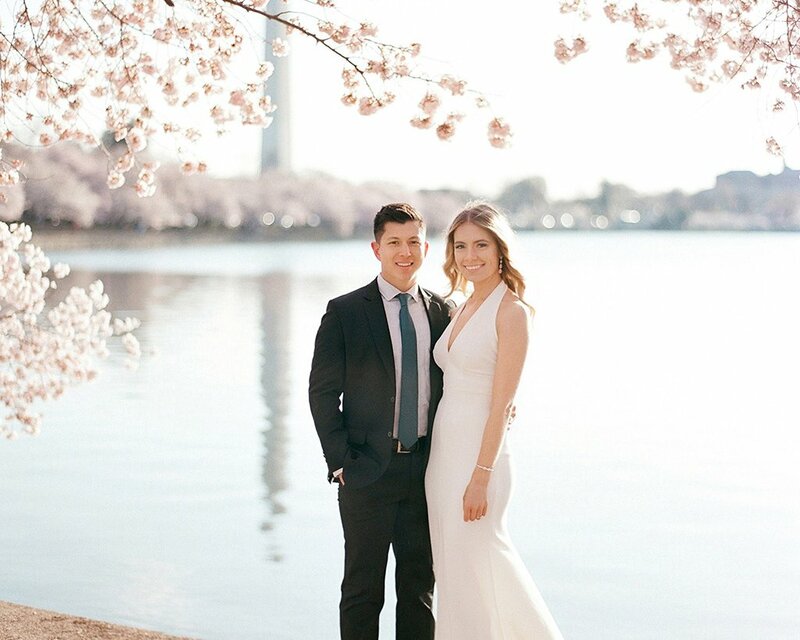 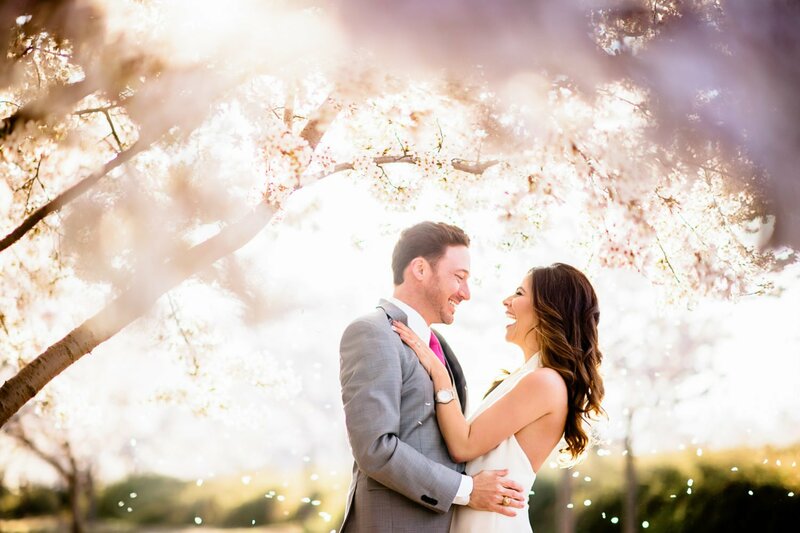 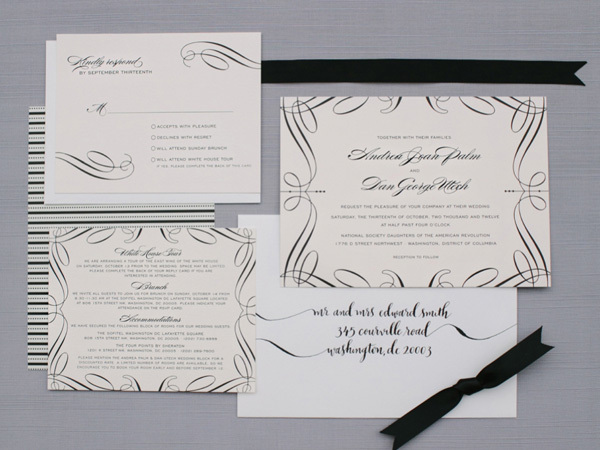 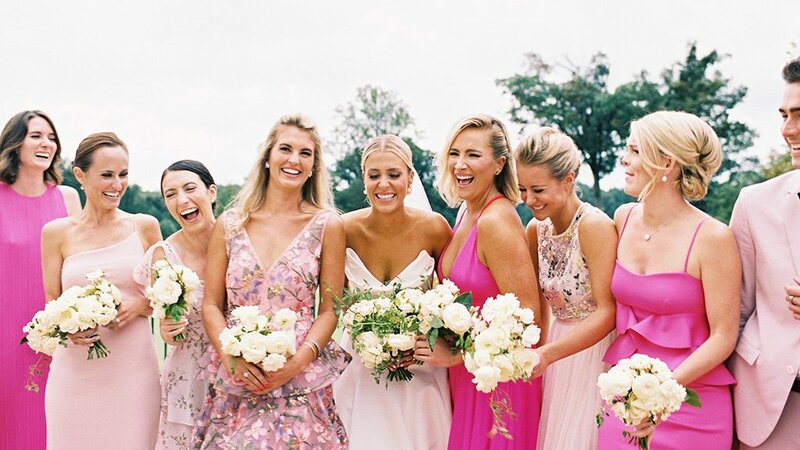 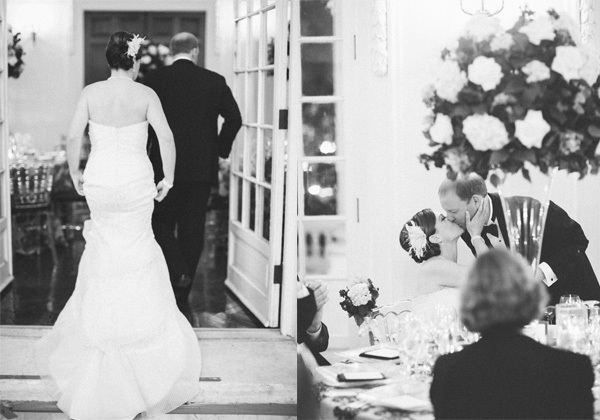 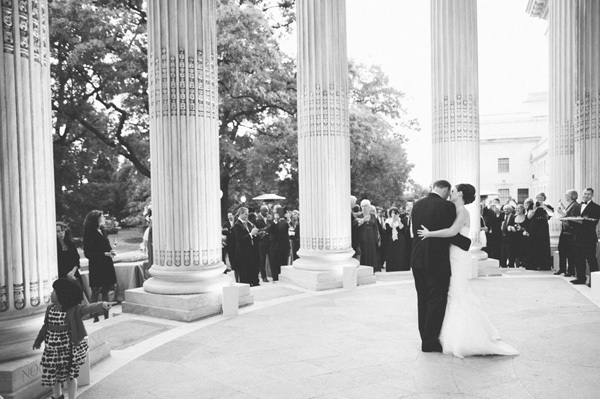 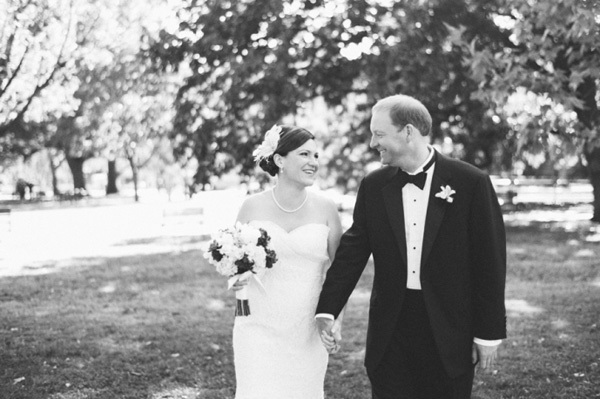 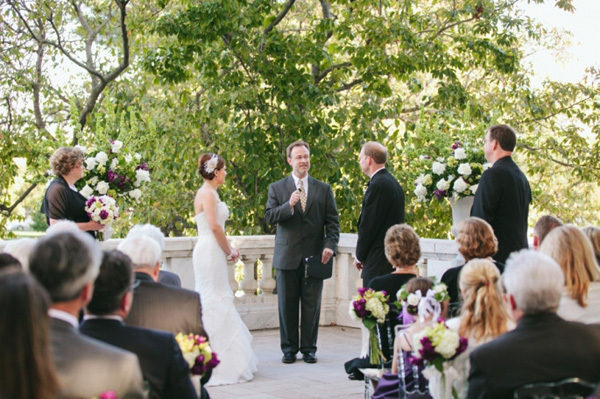 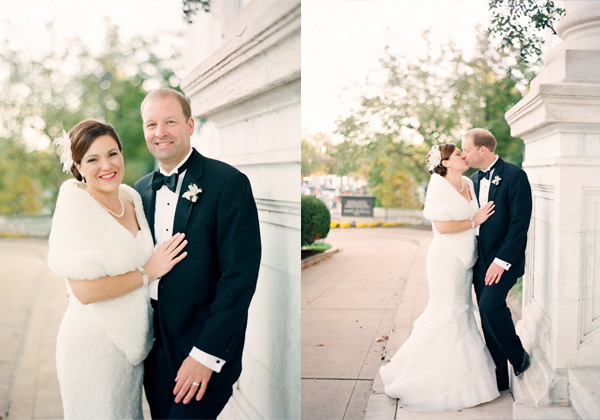 For the wedding that followed five months later, the couple opted for black and white decor and a DC theme, complete with a weekend tour of the White House, city-inspired wedding favors, and a scenic ceremony on the balcony at the National Society of Daughters of the Revolution.